Before becoming VP of Operations, Kimberly was the Grand Lodge on Peak 7 Resort General Manager. 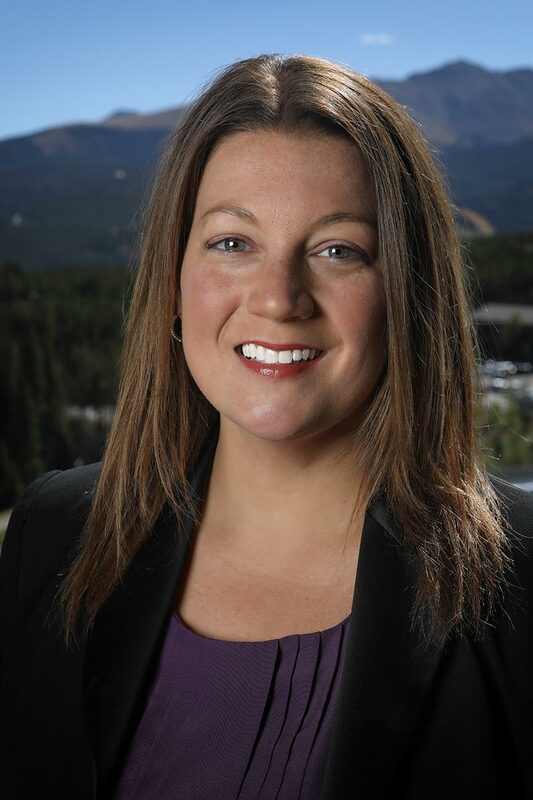 Kimberly also spent almost 10 years as the Director of Owner Relations for the Breckenridge Grand Vacations family of resorts. Kimberly began her career in the timeshare industry in 2001 at an RCI Gold Crown Resort near Keystone, Colorado, and joined Breckenridge Grand Vacations in 2002. Since then, Kimberly has won the 2004 Gold ARDY for Owner/Customer Relations Manager and the 2005 Silver ARDY for Owner/Customer Relations Team. She also earned her Registered Resort Professional designation in the fall of 2007. In addition, Kimberly received the ACE Women on Their Way Award in 2011.